With the school year ending soon, hoards of American families will hit the road for a summer getaway. Ensuring that your children, even older children, are properly secured in your vehicle will help ensure that the only annoyances of your car trip will be the never-ending “are we there yet?” question. 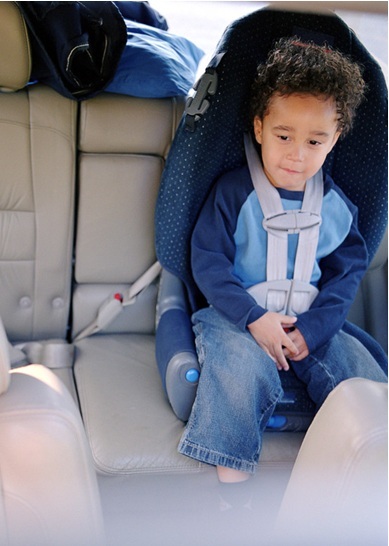 According to new findings from the American Academy of Orthopaedic Surgeons, only 46% of parents know that children between the ages of 4 and 6 years old, weighing between 40 and 60 pounds, should travel in a booster seat. In fact, “seat belt syndrome” is particularly dangerous for children aged 4 to 8 who sit in the car with a seat belt only. The seat belt does not hit children in this age range in the proper position, potentially causing hip and abdominal contusions, abdominal injuries, pelvic fractures and spinal injuries.